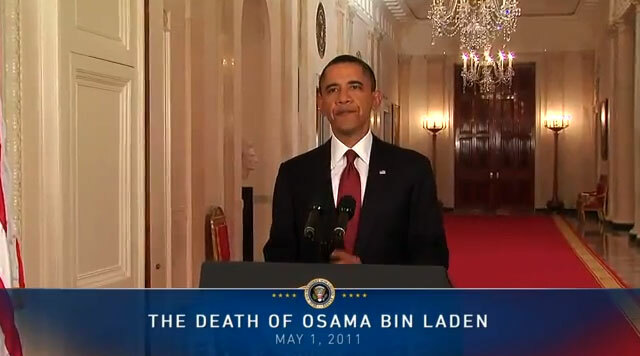 Last night President Obama announced that the United States killed Osama Bin Laden in Pakistan. Wild! But as you would imagine, Osama's capture and death would be making top news for the next week or so. Danny covered Google & The Death Of Osama Bin Laden very well and yes, if you check out Google Trends you have to worry how long [Osama Bin Laden Dead] will be the top query there? As you know, I track the Google related forums and I am already seeing people upset with how Google is handling this news. One said "Why Burry Osama bin Laden secretly and spontaneously" and another said "Do we really care about seeing Obama's birth certificate! No! WE want to see the dead body." It is funny sometimes to see what people expect of Google when news like this comes out.